Sew Serendipity: Fall 2017 Collection: Meet Nora! Our last reveal for the fall collection is The Nora Faux Wrap Dress. 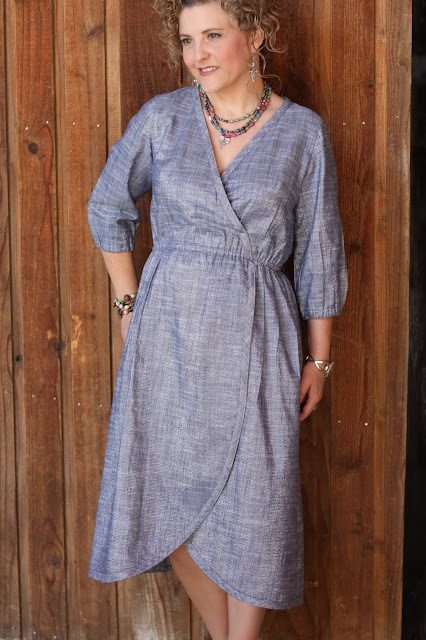 Nora resembles our Ramona Wrap Dress, but I went in and changed a few things so that Nora only "looks" like a wrap dress and features an easy fitting elastic waist. I added options on the skirt to feature an overlapped version and one where the skirt front is one solid piece. Design options include a short sleeve or a 3/4 length sleeve that can have an elastic hem or tapered to feature a lace edge or a contrasting hem. The bodice is finished with a bias binding. If you choose the overlapped front skirt, the bias binding finishes its edges as well. 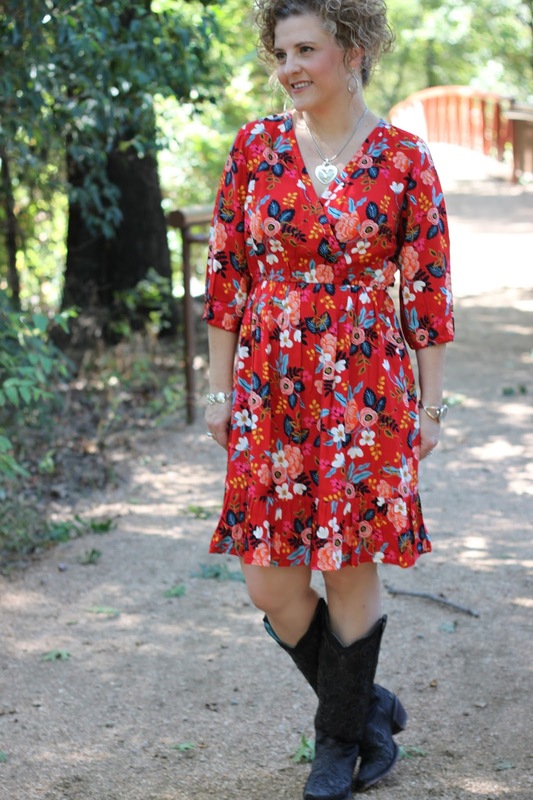 The plain skirt version can be hemmed plain or a ruffle can be added for a fun finish. You can also choose to cut one side of the front overlapping skirt to be in a contrasting fabric for a completely different look. This is another design that I had fun with my fabric choices! I simply love the red sample made in rayon. It is easy to wear and drapes so well. I really can't recommend that you try rayon enough! It makes delicious clothing! 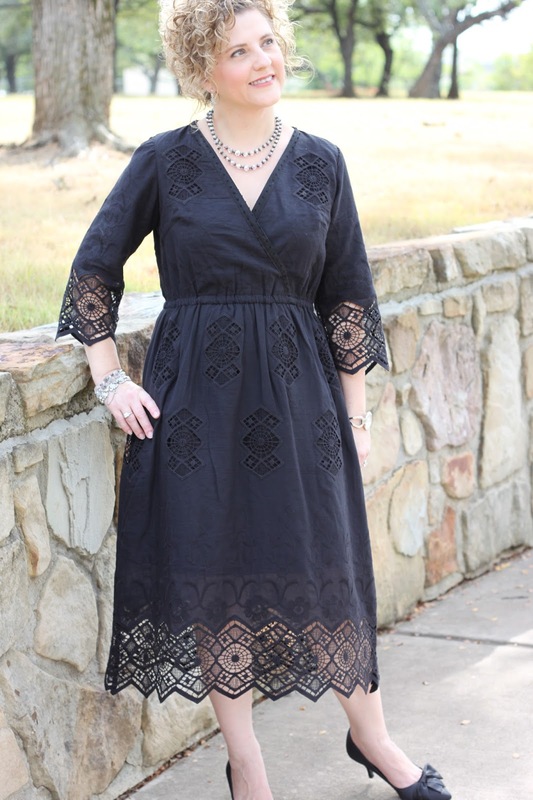 I also ventured into a lovely border lace eyelet for the black sample. I did line that particular dress so I didn't have "peep holes" where the lace inserts were. The pattern instructions include how to add a lining to your pieces if you would like to do this. I had tremendous fun with a metallic Essex linen from Kaufman. It made such a shimmery fun dress! I would also love to make this dress from a border print. It would be just lovely to have that print running along the bottom edge of the skirt. 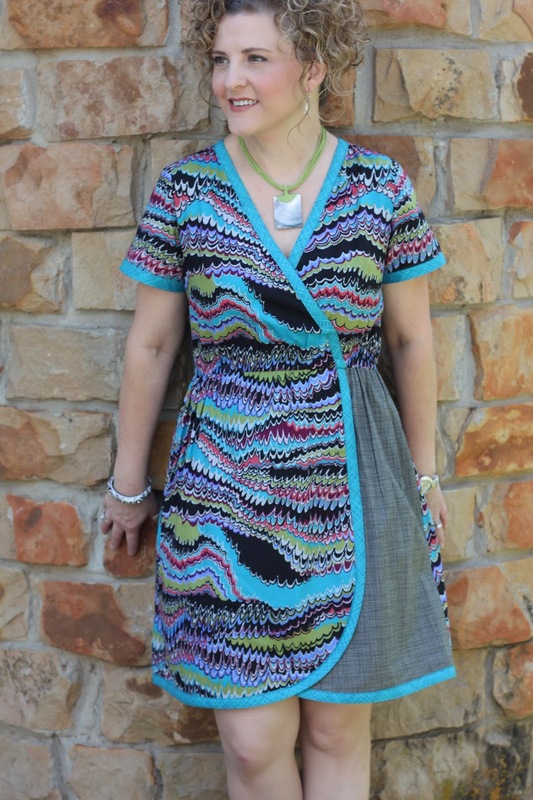 Keep an open mind when choosing your fabrics and have fun with it! We are currently working on the web pages for the new designs and expecting the pattern stock to arrive next week and we'll begin shipping then. In the meantime, I will be working on the pdf versions of each pattern and hope to have those out shortly. Fall 2017 Collection: Meet Bernadette! Fall 2017 Collection: Meet Kira! Fall 2017 Collection: Meet Erin!